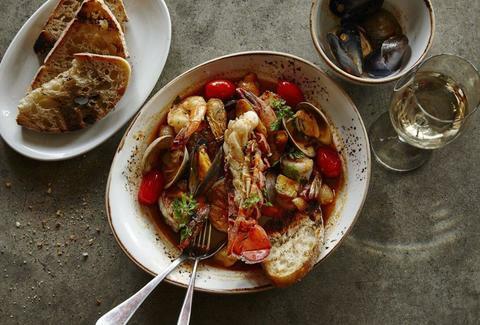 All the summer you could fit in one stew includes shrimp, scallops, clams, mussels, Maine lobster, fingerling potatoes, and tomatoes confit, all in a tomato-lobster broth. 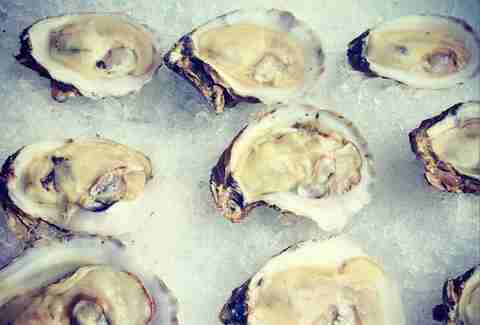 Every Monday, all day long, you get exactly what it sounds like: oysters to shoot back at just a dollar a piece. You can also order off the raw bar menu for variations on the Doc’s classic dish with cocktail sauce or jumbo shrimp. 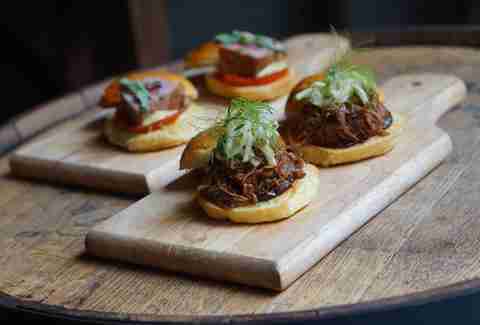 The summertime pop-up beer garden from the people behind BRÜ Craft & Wurst is one of the city’s most spacious, and it doesn’t mess around when it comes to sliders: get the tuna with thai basil & wasabi aioli, or pulled duck with apple slaw and porter plum sauce. 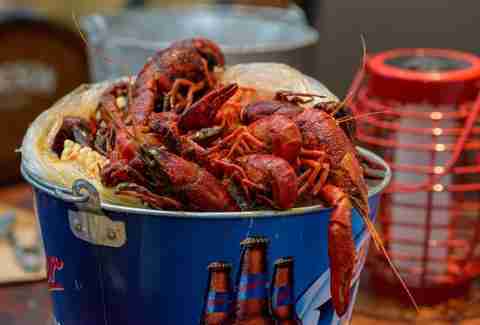 This may not be New England, but few things are more evocative of summertime than a bucket of crawfish enjoyed with a cold beer. The only place for this is Crabby’s, where the pub fare is outshined every summer by the menu’s premium seasonal items. Really any ice cream here is a good idea, but it’s one of the newest releases that will have you in search of a campfire to sit next to, especially if you opt for the ice cream sandwich version to get the complete graham cracker-chocolate-marshmallow experience. 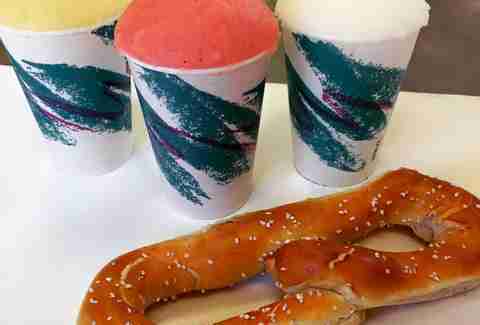 Nothing tastes more like a Philly summer than the sweet-and-savory combo of a freshly baked, still-warm soft pretzel alongside a fresh cup of water ice, which is why John’s is not to be missed during its summer season hours. 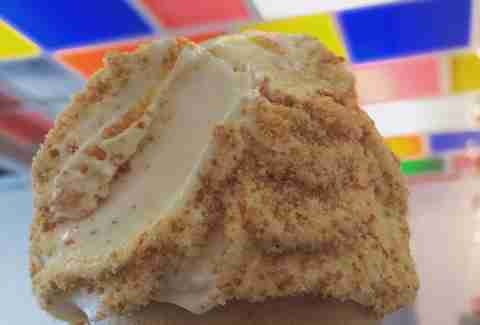 Now that one of New York’s most fabulous ice cream shops finally found a home in Philly, it’s only appropriate to try the ongoing specials while the sun is high and the sweat’s dripping down your back. The quintessential serving? A cone of this vanilla ice cream, dulce de leche, and vanilla wafer blend. 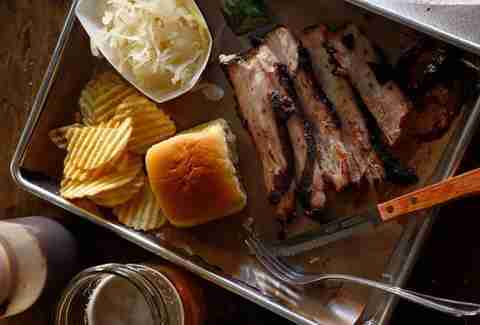 There are plenty of places to score great barbecue in Philly any time of year, but few offer indoor-or-outdoor seating along with naturally raised meats and classic BBQ sides like smoked corn on the cob, potato salad, and dill chips, like Fette Sau does. The dimly lit cocktail bar isn’t only good at getting you tipsy in the classiest of matters, it also rocks an excellent summer menu, complete with this starter of whole chicken wings and your choice of seasonal molasses chipotle, maple mustard, or Nashville hot dill. 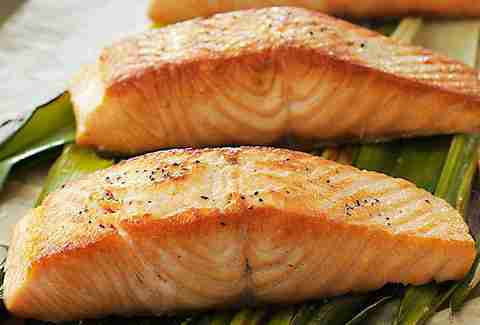 You can’t go wrong with any of the seafood at Devon, whether you opt for jumbo lump crab or fresh shrimp -- but it’s the fish-of-the-day specials that will have you splurging on the season’s best catches. Plus, the Rittenhouse outdoor seating isn’t bad either. 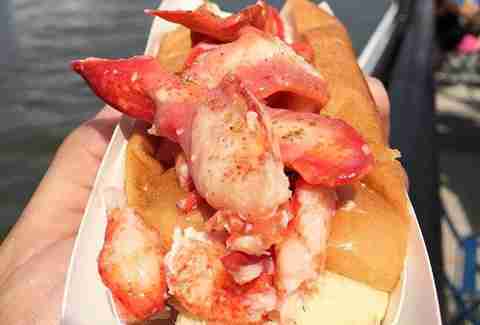 Sourced from Maine and doused in garlic and lemon butter, the lobster on a toasted bun is the perfect thing to eat while sprawled on a blanket in the park. Sign up here for our daily Philly email and be the first to get all the food/drink/fun in town. Marielle Mondon is a Philly-born editor and freelance writer, who’s not that worried about fitting in a bikini. Find her on Twitter and Instagram at @MarielleMondon.